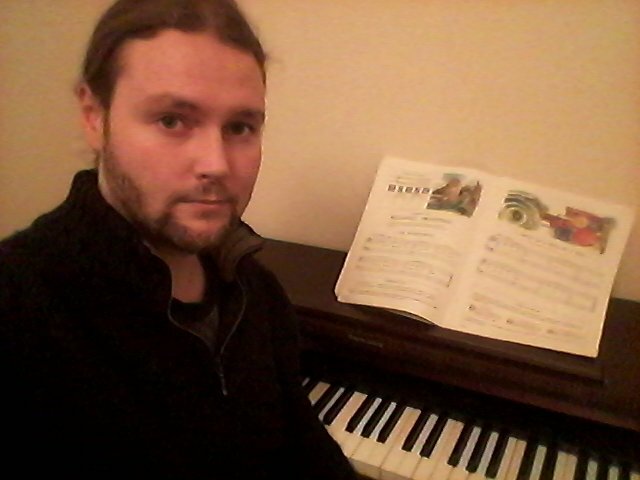 I am a professional musician and music teacher living in Dublin. I currently play original music in two bands and have toured extensively in Ireland, Europe and Asia. In 2008 I graduated from NUI Maynooth with an Honours Bachelor Degree in Music with a major in composition (orchestral and electronic). I also have a performance foundation certificate from the Dublin Conservatory of Music and grade 8 piano with the Royal Irish Academy of Music. I have written and recorded music for film, television, games and radio. I love many different genres of music. As such, my students tend to learn various styles depending on their interests (classical, pop, jazz, metal, electronic etc). In addition to grinds, I teach piano, electric bass, music theory, basic composition, orchestration, introduction to electronic composition and music history & appreciation. I give private lessons and classes from my home, very close to the city centre in Dublin 7. I also teach in the homes of some students. From 2005-2009 I taught in two schools, St. Catherine's primary G.N.S in Finglas and St. Vincent's Secondary in Glasnevin. Currently, I have students of all ages. As well as Primary and Secondary grinds, I have experience with preparation for third level entrance exams, university grinds and practical exam assistance and accompaniment. In College I also took a year of Mathmatical Studies which qualifies me to teach up to Junior Cert Level maths. In my years studying, teaching and performing music, I have learnt many handy techniques and practical examples to make life easier on exam day (key signatures and rhythm, song structures etc). I can also assist in the performance exam either with accompaniment or individual lessons. I'd like to think that my love and enthusiasm for all things musical helps to make grinds or lessons as fun as possible, especially with the inevitable exam stress. RobertFrom Mylen (5/5): (Senior Cycle Music) Very good and reliable! Reply from Robert: Thanks a million Mylen!